to talk about psycho-somatic pain, don't you?" Could it be this Duke University physician is unaware of what others in the field have to say? See “ACR 2010 criteria for fibromyalgia critiqued by: Mary Ann Moon, Family Practice News Digital Network, here. This attitude toward fibromyalgia must be stopped in its tracks if we are to maintain forward momentum. There is a great deal of empirical evidence showing FM is biological. Yet, despite repeated research that the brain of the FM patient does not respond to painful stimulus in a normal way, (not only the emotional center, but also the center in the brain that specifically interprets pain), many practitioners, even those from Duke University, are ignorant. The 2010 Preliminary Proposed Diagnostic Criteria modified in 2011 set forth by Dr. Frederick Wolfe are endangering the many strides taken to understand fibromyalgia over the past 100+ years. We also have the new Diagnostic and Statistical Manual of Mental Disorders (DSM-5) from the American Psychiatric Association's (APA) to thank for what Dr. Wolfe calls FIBROMYALGIANESS. 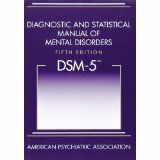 Marly Silverman and I wrote about, and predicted, this two years ago in a piece on the prospects of the DSM-5. I have been in collaboration with well-respected fibromyalgia expert Dr. Robert Bennett, and have written a blog explaining his well-researched diagnostic criteria, which DOES consider all aspects of fibromyalgia. He and his colleagues report their findings without bias. I hope you will read that blog here. Pay close attention to the example of the 2013 Alternate Fibromyalgia Criteria (2013 Alt FM Criteria) and the proven tools such as the Fibromyalgia Impact Questionnaire (see: http://fiqrinfo.ipage.com/). Following is an excerpt from that blog with my comments. *1. “Fibromyalgia patients have a continuum of symptoms; a diagnosis based on a strict numerical cutoff is subject to error.” In other words, a physician or nurse practitioner should not be limited by a subjective questionnaire. They should rely on their abilities to physically assess a patient with hands-on exam to assess physical complaints, take a patient history, order and interpret test results, complete a physical exam, and apply their diagnostic skills. No practitioner should limit the scope of their abilities. Without these expert assessments, we would not know that the tender point count has not stringently met the 1990 ACR criteria. *2. “The presence of another pain disorder or related symptoms does not rule out a diagnosis of fibromyalgia.” We know from the literature that fibromyalgia can and often does coexist with certain other disorders, such as those defined by the CDC. Dr. Wolfe's modification of his 2010 criteria suggests in point three under the description of the criteria above in order to diagnose fibromyalgia, “the patient does not have a disorder that would otherwise sufficiently explain the pain. * 3. “A careful clinical evaluation is always required in order to identify any condition that could fully account for the patient’s symptoms and/or contribute to the severity of the symptoms.” A clinical evaluation includes the parameters mentioned above in *1. The Bennett investigators conclude that a patient’s symptoms should be investigated seriously and not be dismissed as poly-symptom somatic complaints as suggested by the Wolfe team of investigators. This is important because many of the symptoms fibromyalgia patients experience can be attributed to other treatable conditions that affects patient outcome. I had to respond to the likes of the Duke University doctor, because she is not alone thanks to the likes of Dr. Wolfe who uses unapproved APA tools and handpicked databases for his research. I am not a scientist, nor a statistician, however I did conduct a study while in college, and I can tell you that doing an unbiased literature review is research 101. Choosing only literature that fits your hypothesis is flawed. Oddly enough, or not so oddly enough, I recently saw an article in a Physicians online journal “Healthcare Professionals Network” here that suggested Dr. Bennett endorsed the 2010 Wolfe Criteria carte blanche. In fact, the Bennett Alternative Criteria published in the September issue of Arthritis Care and Research, (Bennett, et al. 2014), includes a comparative analysis. Yet, this reporter made no mention that the 2013 Alternate Criteria outperformed the Wolfe, et al 2010 modified criteria in key areas. This partiality makes his report nothing short of propaganda. Hey Celeste :) You go girl! A couple of years ago, just after I moved to MO, I went to a clinic and as the nurse and I were going over my meds and conditions she asked me, "So did are you sure a doctor told you that you that you have such a thing called Chronic Fatigue Syndrome or did you just read that name somewhere?" I was stunned! My symptoms of FM/CFS go back to my teenage years. I've been dealing with all of this for decades. I've seen numerous doctors - traditional and alternative. I've interviewed doctors. I'm a published author re: coping with FM. And here I was being asked such an archaic question! I responded by telling her I had been diagnosed by one of the leading specialists in the field. But I didn't stop there. I just couldn't help myself...I said, "Wow, I did not know there were any dinosaurs like you left!" And then I laughed. She didn't think it was so funny. Too bad! When the doctor came in and I related the exchange to him, he didn't think what she said was so funny. He said she had no right to ask me such a question and he would be speaking to her. He then assured me he believes FM/CFS are real conditions. It's bad enough to feel so crummy but then we have to fight so many in the medical community too! Celeste, thank you for all that you are doing for all of us! THANK YOU, CELESTE! You are right on the money and bless you for digging in and advocating and backing up with research of your own. Your grit gives me determination. I've been treated far too many times by "specialists" like the one noted from Duke University who have belittled me. Thank you, thank you, thank you. THANK YOU, CELESTE!!! You continue to fight for all of us and your grit gives me determination to keep fighting. Thank you for your continuing research and writing to promote the TRUTH. I, too, have been belittled by "specialists" like this one from Duke University. Thank you and bless your heart! Many thanks to all who have comments and offering of support. I hope you will re-post in your groups so we can continue forward momentum. We never know how far away or by how many our voice will be heard.